ZoloWear slings adjust to six comfortable carrying positions. 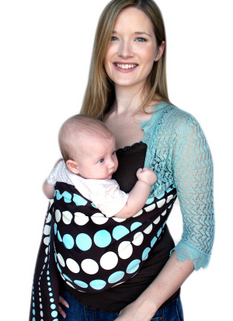 ZoloWear slings are a great value, safely supporting babies from birth to 40 lbs. Our popular cotton ring slings tote baby in hip prints or go-anywhere solids. The sustainable line cradles baby in earth-friendly organic cotton and hemp. ZoloWear has been bringing mothers and babies together, beautifully, since 2001. As always, every ZoloWear baby sling is meticulously constructed and carefully inspected in Texas.